How many times have you had a great front nine score and then turn around and play terrible on the back? Or, you hit a great shot and then hit the next one like you have never played golf? We have all done this from time to time and it can be frustrating. What happened? In golf, you just cannot predict what score you will shoot, nor do you want to. The worst thing you can do is step up on a short hole and think you are going to make a birdie. This means you are thinking too much about the result or the future and not enough about the process of hitting your shot to the desired target. This lack of attention to the shot at hand causes the cycle of inconsistency to begin in my opinion. Remember, there are NO GUARANTEES in golf. If you play most of your golf at your home course, it is easy to get complacent in your focus. Before you know it, you are just going through the motions and the bad and ugly starts happening. My target is the sand dune between me and the fairway. Your course management or strategy for the shot will be determined largely by your current ability. In other words, if you cannot carry the bunker that is 210 yards off the tee, then your target and club selection will need to be adjusted to get you safely in the fairway. If there is a water hazard or deep bunker on the right side of the green, then your target should be on the left side. Once you have your target identified, you must block out all other obstacles and play from point A to point B with no mental interference. You must not have a score in mind when you play a shot. Stay in the present and make the best swing you can make. Eliminate the interference and play from point A to point B. Do not let your emotions ruin your game. If you happen to miss your target and end up in a hazard, you must remain positive and go through your routine for the next shot. The worst thing to do is follow a bad shot with another bad shot caused by rushing and not thinking the shot through clearly. Remember, each shot deserves to be hit with the same focus and attention regardless of the prior result. You can develop this focus on the practice tee by always choosing a specific target for each shot you hit. I find it helpful to imagine hazards on the practice range you have to avoid. 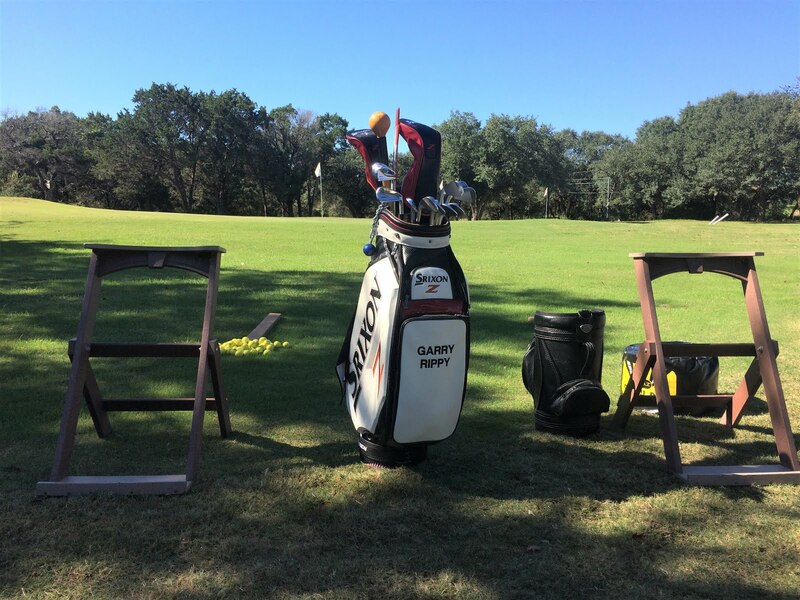 Strive to improve your quality of practice and not necessarily the quantity of balls you hit when practicing. Build good practice habits, follow your routine on the course for each shot and you will be on your way to the Good, and not the Bad or Ugly! March came in like a lion and is still roaring! It seems the winds have been blowing 15-20 mph this entire spring. Here are a few general rules for taming the wind. When playing in the wind, and any inclement weather for that matter, you will tend to do things much quicker than normal. So, the first rule when playing in the wind is to slow down! Avoid the tendency to rush through your pre-shot routine by slowing down all of your movements prior to hitting your shot. 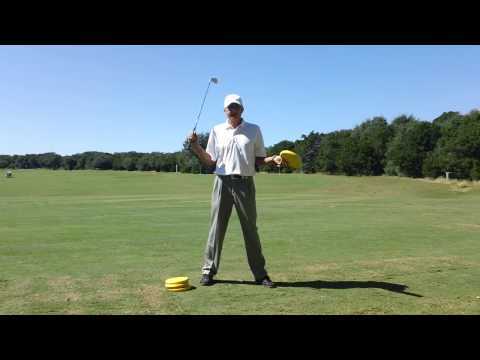 This will help set the tone for a slower and smoother swing. You also want to avoid swinging too hard in the wind. The old adage "swing easy when it's breezy" is still in vogue. I recommend thinking about the pace of your arms when you swing. Try to feel the arms swinging back and through at the same pace. Using a speed scale of 1 to 5, with 1 being slow and 5 being fast, try to swing back and through at a 3. This will help your balance and ball striking and this pace is maintained whether you are headed into or down wind. The second rule is to grip down the shaft when it is windy. This adjustment tends to make the shaft play stiffer and helps keep the ball flight lower. In conjuction with gripping down the shaft, I suggest playing the ball a little further back in your stance. For an iron or hybrid, I would move the ball position about two inches behind the center of your stance and for a wood, move it back about two to three inches inside your front heel. The third rule is to adjust your aim to allow for the wind. I will say a well struck shot will hold it's line in the wind for the most part. But, if you already tend to move the ball one way or the other, then plan for it to move more than normal. When the wind is swirling and you are having difficulty figuring out which way it is blowing, try looking up at the clouds. Their movement will tell you which way the wind is truly blowing. If it is a clear day, look at the tree tops and see which way they are moving. On a windy day you can throw out the yardage book and GPS unit. Strive for a smooth swing and solid contact. If it means hitting a 6 iron instead of an 8 iron, then so be it. Again, it's not how hard you hit the ball, but how solid you hit it. Typically if you swing too hard the ball will "balloon" or go way too high. The bottom line for playing successful wind shots is to grip down, slow down, and swing smoothly. Good luck, calmer days are ahead.